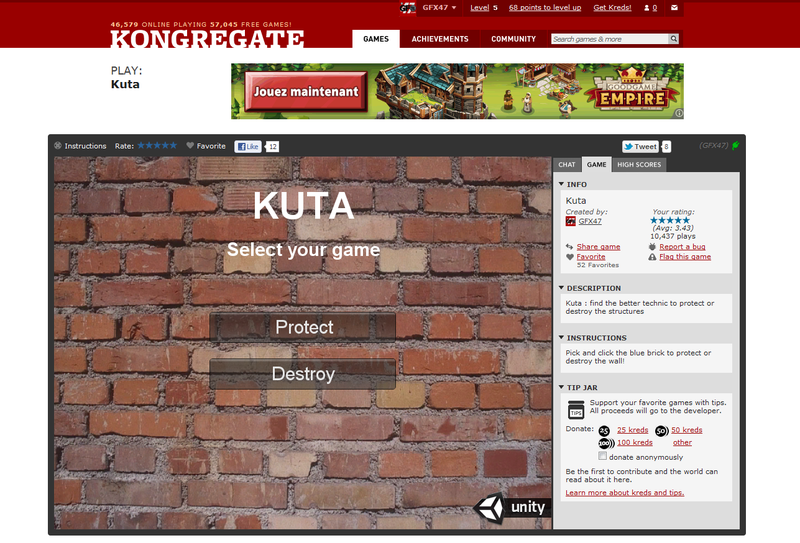 I recently registered an account on Kongregate.com and uploaded the early verison of Kuta. Players’ feedbacks were very interesting and I updated the game with there most wanted features (in-game back to menu button, shorter brick disappearance and bug fix on score submission). I hope I’ll be able to work on it this week and give you some updates.